The future of ecommerce is unpredictable, given the fact that technology has been (and will) advancing at a lightning speed in past ten years. In the last few years, the overall equation of shopping has changed among the masses. The majority of shoppers have moved from traditional brick and mortar shopping to online shopping. This has led to mushrooming of several ecommerce startups. With valuations crossing billions of dollars, ecommerce has become one of the most talked about business models. Another aspect that has fueled the popularity of ecommerce is the continuous innovation that this sector is incorporating. A couple of years ago, it was all about having a user engaging website while currently, it is all about mobile commerce and apps. The speed at which innovations are taking place and new technologies are coming to the forefront, many people have started to lay focus on the future of ecommerce. 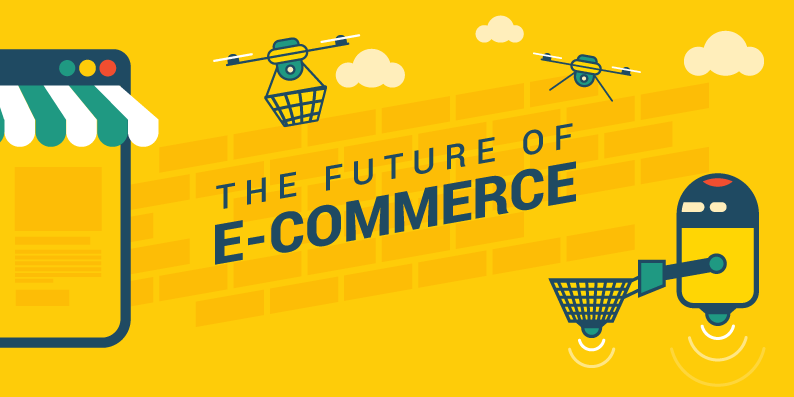 So now the question comes, what is the future of ecommerce technology? Machine Learning – There was a time when a consumer used to browse through several categories of items to find the one, which they would like to buy. Nowadays, in order to increase average cart price, ecommerce websites have started to incorporate machine-learning algorithms that deduce and recommend items that the consumers could like. Machine learning is all set to revolutionize ecommerce, as we know it. By analyzing buying habits along with products often searched by the consumers’ online marketplace can give them accurate recommendations for their next purchase. Chatbots – The fact of the matter is that good customer support always requires a conversation. This is why online businesses, which have a help desk to take cognizance of issues of consumers, tend to excel. However, often, one is unable to offer round the clock service, which is where Chatbots come into action. It is one of the few technologies, which will have a deep impact on business consumer engagement. Virtual Reality – First it was desktop websites, then came mobility and now it is all about virtual reality. The biggest hindrance in front of ecommerce has been that they are unable to offer the same experience like traditional shopping when it comes to visualizing the item. At max, they can offer video of the product, which also offers only 2D experience. However, with VR enabled devices, consumers an easily visualize the products in 3D offering a more immersive user experience. Connected Devices – We are moving towards an era, where the devices that we use in our daily lives are getting connected. There are several companies, which have already come out with prototype devices, which would automatically analyze your requirements and place orders on your behalf. For example, a connected refrigerator would automatically analyze that you are low on milk and place an order from your preferred choice of vendor. Drones – Delivery and logistics have been one of the biggest hurdles in front of ecommerce companies. However all that is about to change with robot taking charge of deliveries. Amazon has already been using a drone to deliver products to consumers. With other ecommerce companies following suit, the overall delivery game will change for the good. Keeping the above points in perspective, it won’t be an overstatement to say that the future of ecommerce technology is going to renovate the overall scenario. Overall the scenario of ecommerce is all set to change. It is already a crowded market with new players entering the arena every now and then. This has resulted in the faster adoption of future technologies, which make the overall shopping experience of the consumer seamless. Consider this, a few years ago you used to make plans of going shopping and used to spend a whole day buying the required items. Nowadays you still spend a considerable time online going through categories of items trying to find the perfect item. However, in the near future, you could just get the item delivered without taking a step out of your bed in the least possible time. 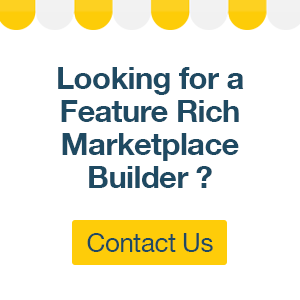 Want your ecommerce store to outperform your competition?